The RNC chairman, Reince Priebus, has announced he is going to make some welcome changes regarding the primary debating season in 2016 [for the presidential election]. The RNC is going to take more control of the number of debates [not have the ridiculous number they had in 2012] the location of the debates, and more importantly the networks and moderators of the debates. That is very welcome news for us conservative Republicans who loathed to watch debates on the liberal mainstream media networks with moderators, whose only job it has seemed in the past, was to make the GOP look as unelectable as possible. I don't think I was the only one shouting at my TV wondering why did the RNC allow these leftists as moderators with their outrageous inane questions. Not in the primary, but in the presidential election debates, who can ever forget the "Say it again, Candy" moment from the second debate in 2014. All those changes are great ideas from the RNC and I thank them for taking such action. But there is one more change that I hope the RNC would employ for the GOP primary debates. Here is the change, that hasn't been mentioned that I think the RNC should take. While all candidates are individuals who think they are the best person for the job, they must also realize they are part of the team-the GOP team. Each candidate running must not only want themselves to win, not just the nomination but also the presidency, but they must want the GOP to win the presidency, no matter who the candidate is. So, I propose that every candidate to be eligible to participate in the primary debates must not only meet a minimum polling level to participate [after a couple of the debates] but every candidate must pledge in writing that they will support the eventual GOP nominee for president in 2016. I think it is a reasonable requirement to participate in the GOP debates, the people running must actually support the GOP and not just themselves. I don't want anymore Ron Paul's [a de facto libertarian even though a de jure Republican] or John Huntsman's [an independent not totally committed to the GOP] or [if he would have participated] Donald Trump's [only a member of the Donald Trump party] to participate in the 2016 GOP primary debates. If any GOP hopeful can't commit to supporting the eventual candidate, no matter who it is, then they should not be allowed to participate in the GOP debates. I think all the candidates mentioned that are possibilities to run would sign such a pledge before any of the debates begin. So, then it will not be a problem. The only two who possibly might not agree to sign such a pledge, in my opinion, are Rand Paul and Chris Christie. To me, if they agree to support the nominee ahead of time, they are in the debates; if they do not agree, for whatever reason, they are out. I, as a strong conservative Republican, have some favorites and some I would hope do not win the nomination. But I will pledge right now, that I will support our [GOP] nominee whoever it is, even if it is someone I do not want. I am a conservative and I am a Republican. The Republicans must win the presidential election in 2016. With the disaster of president Obama and Obamacare, this may be the last chance to save our country. The candidate on the Democrat side is likely to be Hillary Clinton. 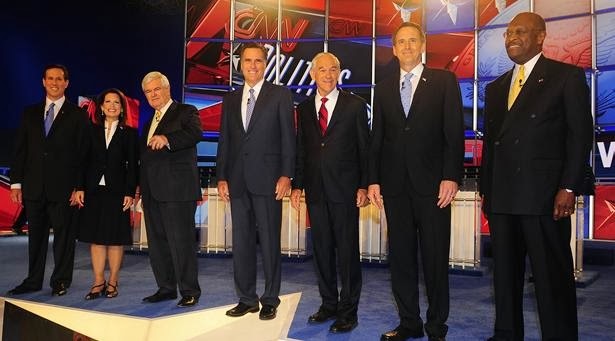 For anyone on our side to even pause about supporting our candidate over Hillary Clinton should not be on the stage with the other legitimate GOP candidates. Big Mike, just wanted to let you know my virus protection program tried to block your site due, it said,to reports of spam and identity theft. The left has been reporting almost all conservative sites for this to get peoples' virus programs to block their sites. Just wanted to let you know. Oh no! Thanks so much for letting me know. I have to find out what to do.